If you enjoy Ben 10 coloring pages then be sure to get this excellent Ben 10 cool coloring picture. No matter what age they are, many children love this creative activity. All you need to do is add some color to this Ben 10 cool coloring picture. Use your imagination! 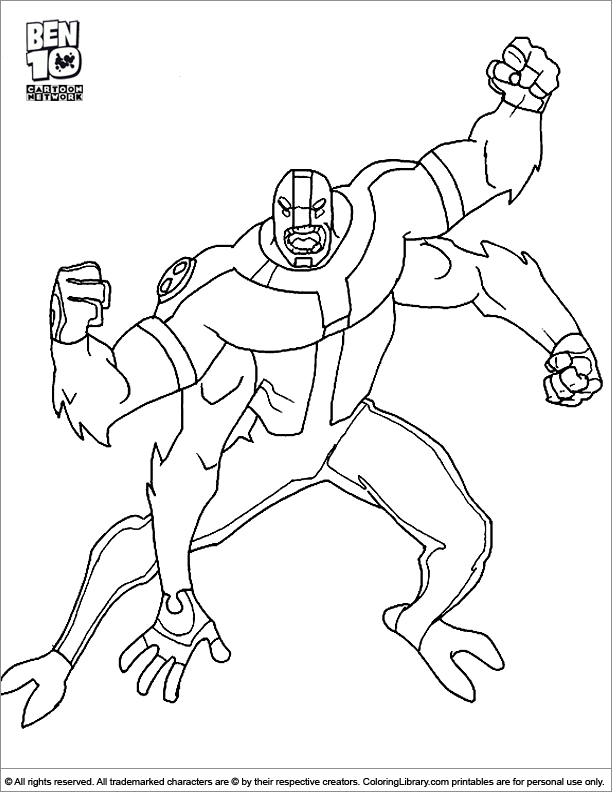 You can color in this and many other great pictures that you will find in our library of Ben 10 coloring pages!